4 sizes in satin and filled stitches. 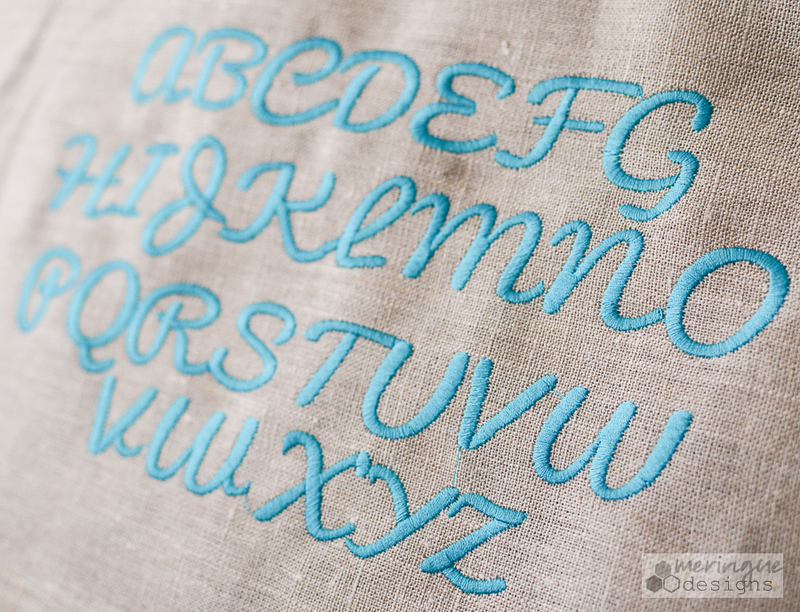 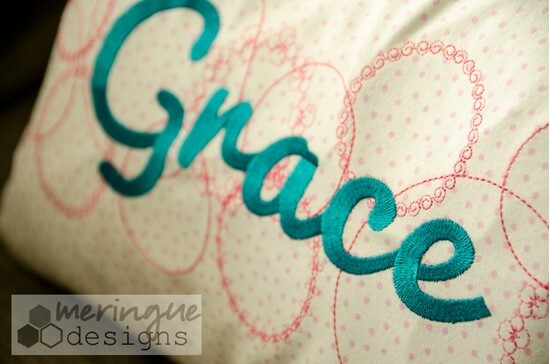 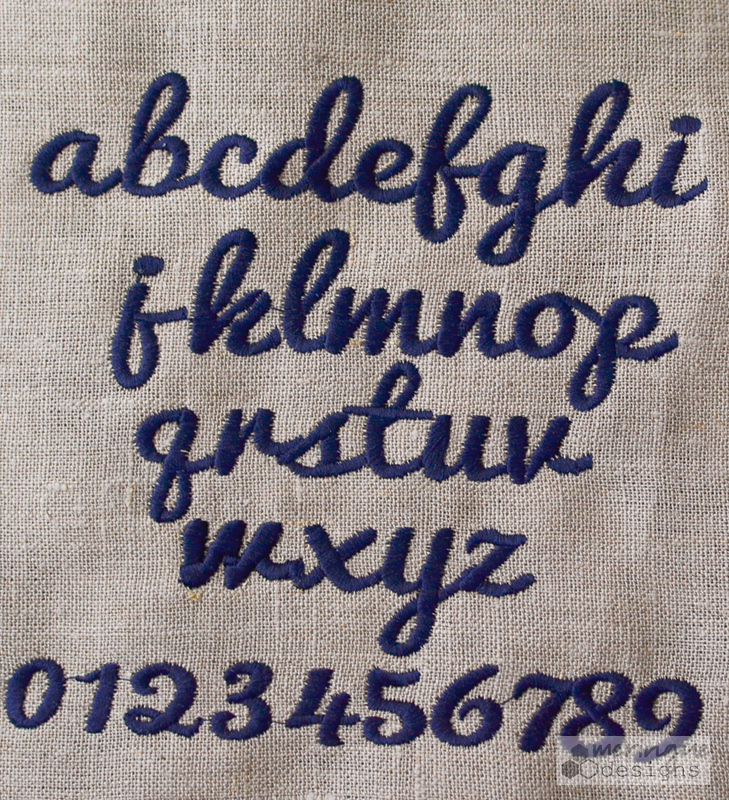 Casual Cursive alphabet is made of satin stitches for the 2" and 3" sizes. 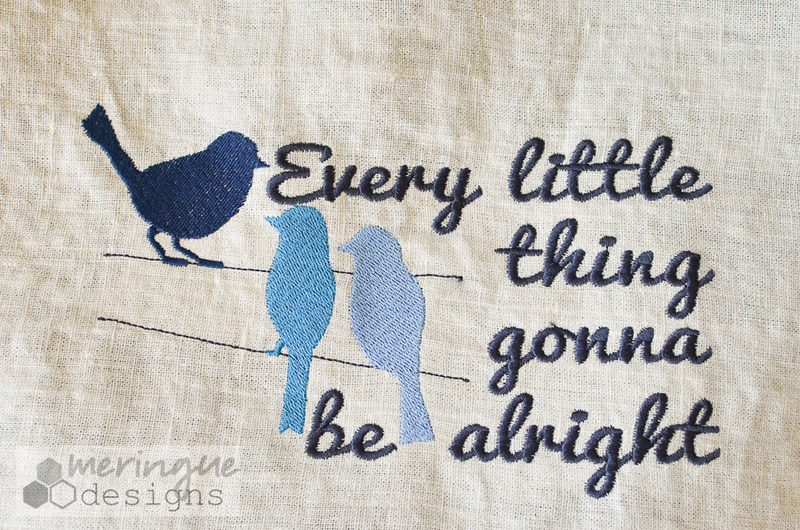 The larger 3 sizes are fill stitches. 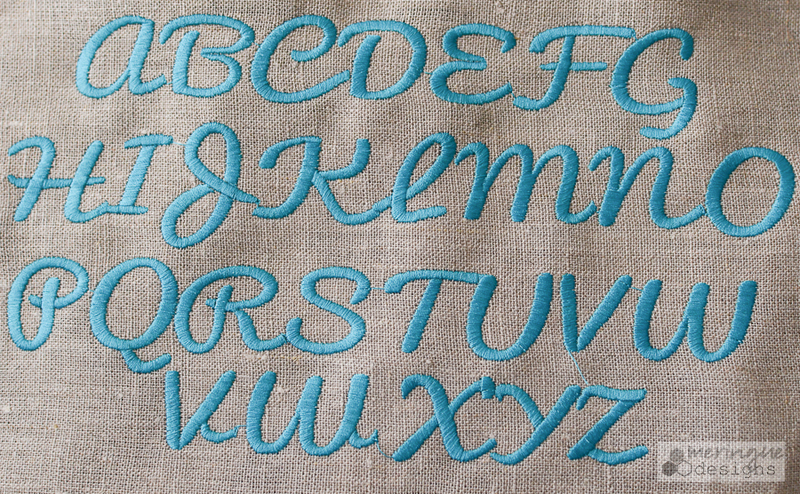 The sizing for this alphabet was kind of small so I made sure to include four sizes. 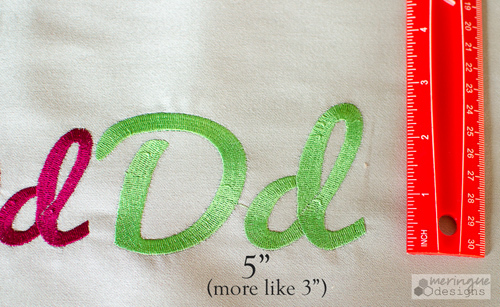 Please notice the measurements in the photos with the ruler. 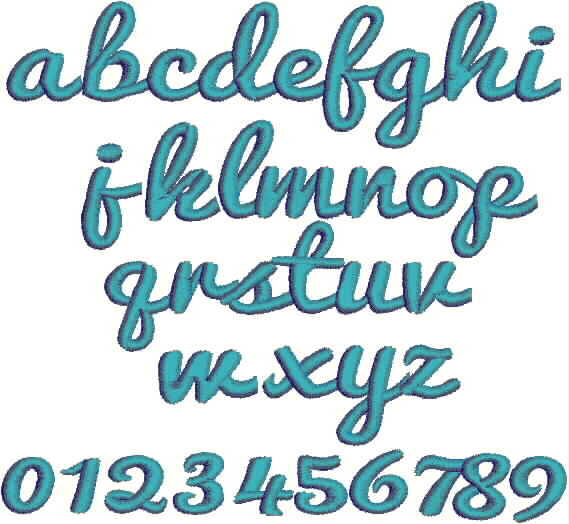 You will receive the alphabet in 2", 3", 4", and 5" inch sizes. 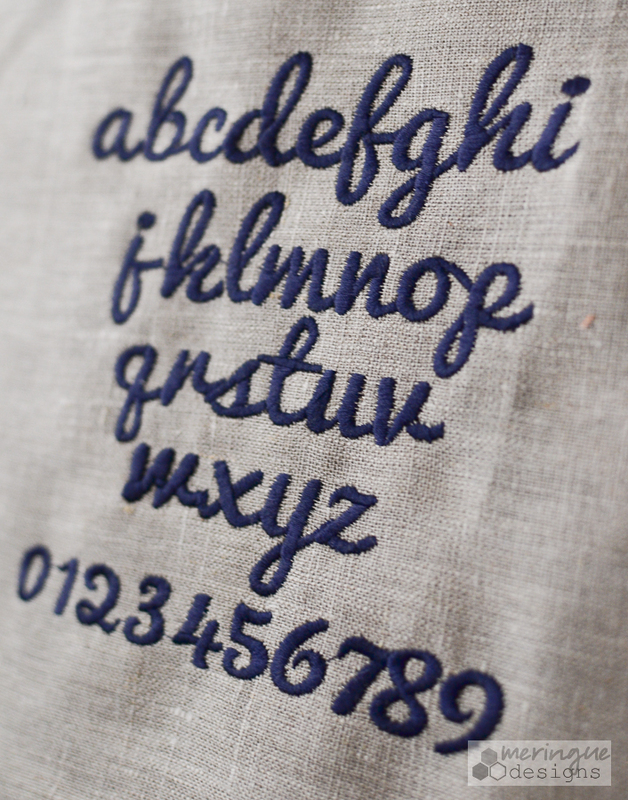 Punctuation is included as well. 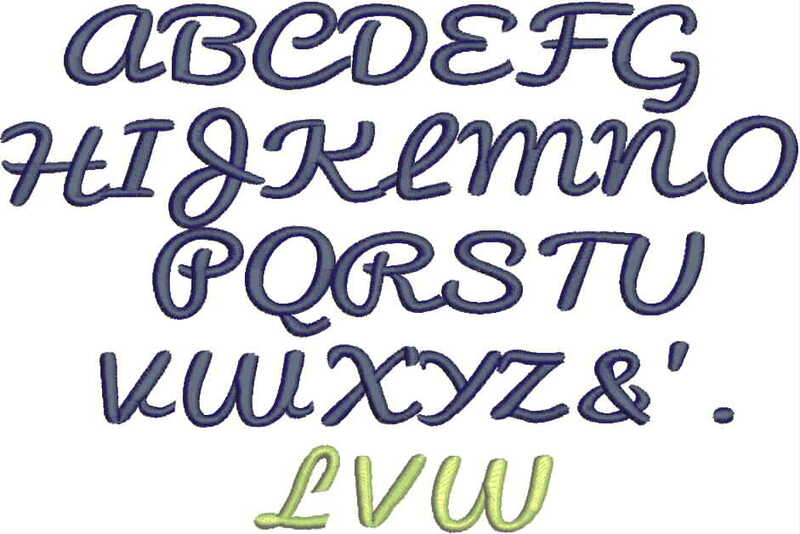 Read about the creation of this alphabet on my blog: click here. 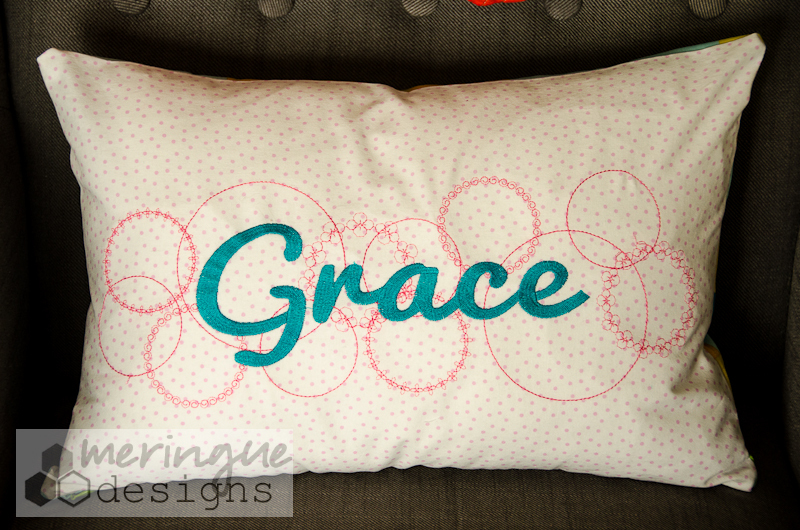 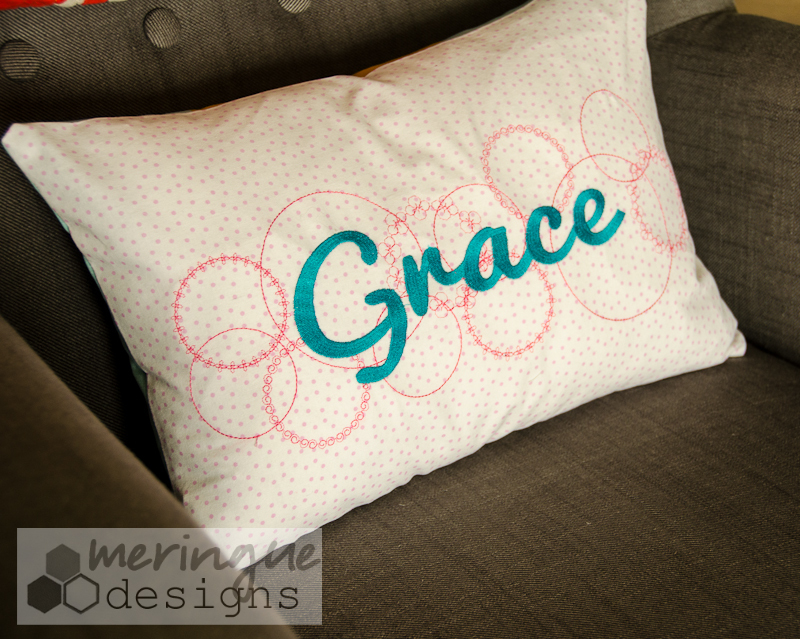 Designs also pictured: On Grace pillow the "Linked Rings" design was used. 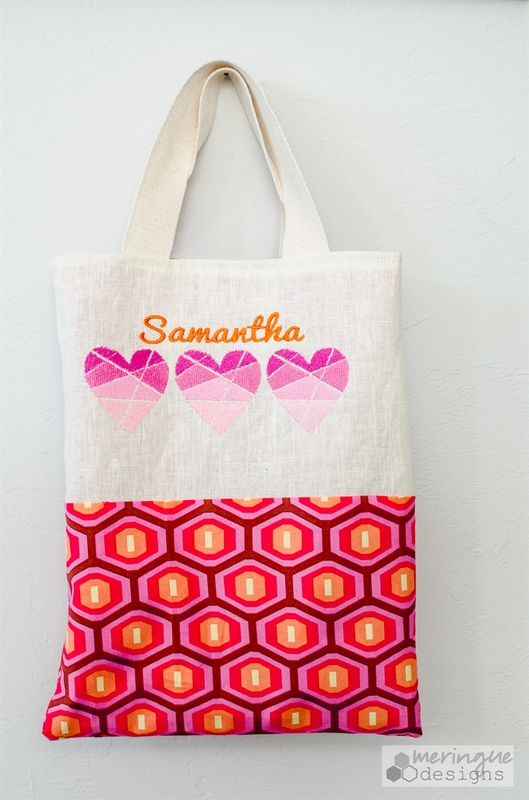 The green apron uses "Whisky Business" and the tote bag uses "Every Little Thing"